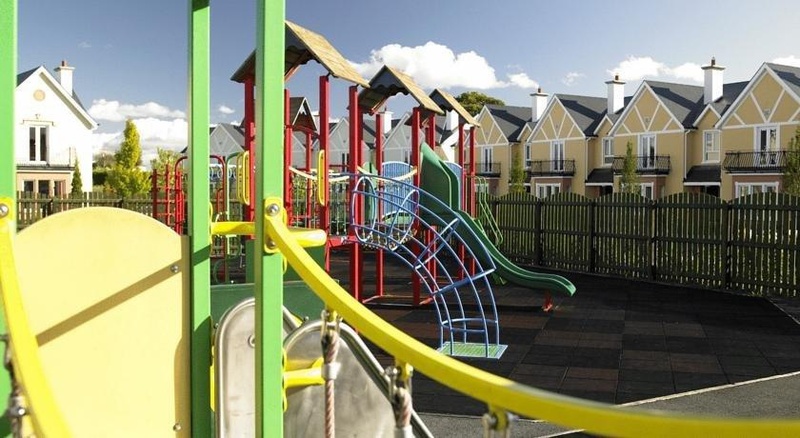 The holiday village is situated in the tranquil countryside of County Carlow, just one hour from Dublin City.||This holiday village has air conditioning and offers elegant living and luxury self-catering at its finest. It was built in 1725 and comprises a total of 4 accommodation units. 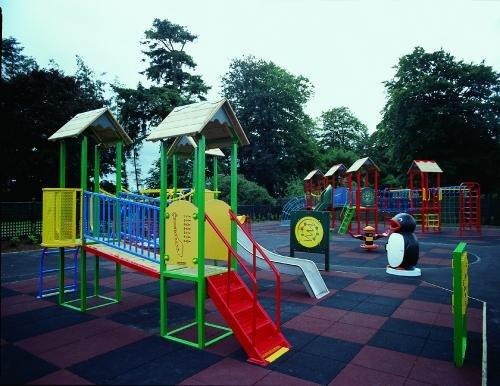 Younger visitors can let off steam in the children's playground fees apply. Further amenities include a dining room.||The 3-bedroom houses sleep up to 6 people in 1 double bedroom with an en suite bathroom and 2 twin bedrooms with a separate shared bathroom. Linen and towels are provided. Further standard features of all accommodation units include satellite/cable TV. Moreover, the accommodation units come with a spacious open-plan living/dining room filled with natural light and opens on to the back garden and patio area. There is also a kitchen, which features a fridge, a cooker, a microwave and tea and coffee making facilities. Guests will also have access to a terrace from their accommodation.||Guests of the holiday homes have free use of the onsite leisure facilities, including a swimming pool, a steam room, a gym over 16s only, tennis facilities fees apply and five-a-side football. Further amenities include a hot tub and sauna fees apply. Fans of the fairway can head to the nearest golf course, which is in the immediate vicinity of the holiday village extra charge. Entertainment programmes for both children and adults are offered for an additional fee.||From Dublin: Take the N81 from Dublin through Saggart and Blessington, which will lead guests directly to Tullow town. From the town follow the signs along Ardrattin Road directly to Mount Wolseley Golf, Country Club and Spa Resort. The holiday village is on the left-hand side on the way up the drive.